How Can I Go A Family Dental Practice: Bilbao Jo D DDS? 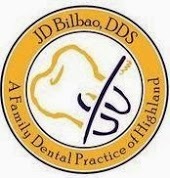 Where is A Family Dental Practice: Bilbao Jo D DDS in Highland on the Map? My experience was safe and personable. Doc is compassionate, easy to talk to and he has awesome bedside manners! Keep on striving for excellent to you and your staff. Thank you. My experience was safe and personable. 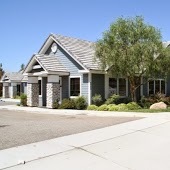 Doc is compassionate, easy to talk to, and he has awesome bedside manners! Keep on striving for excellence. Thanks to you and your staff. I have to admit that I was always a complete baby when it comes to visiting the dentist. Dr. Bilbao however is great and goes out of his way to make me feel comfortable. I also appreciate his ability to explain everything too me. His nature definitively keeps me at ease which helps makes my visits more pleasant. In the past I was always afraid to go to the dentist. Dr. Bilbao certainty changed this for me. He and his staff are absolutely fantastic. They practically treat me like a queen every visit without fail. Now I am not afraid to go to the dentist. Everyone at A Family Dental Practice is great. A very professional group who are kind and very friendly. Love it here. Keep up the great work.